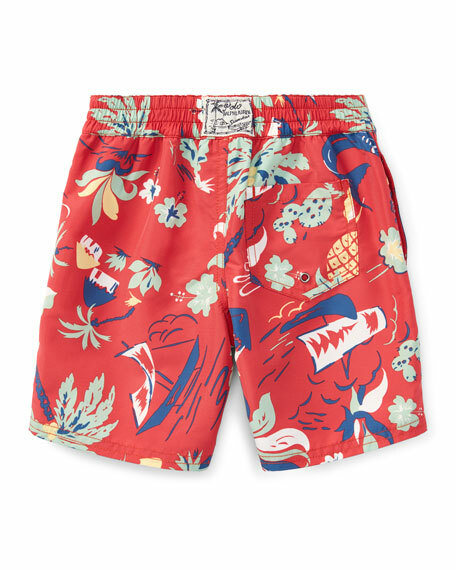 Ralph Lauren "Sanibel" board shorts in tropical print. Side seam pockets; back patch pocket. 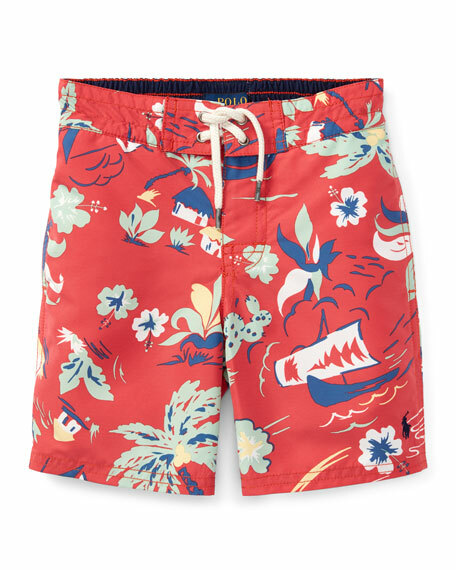 Faux fly with drawstring waist. American designer Ralph Lauren debuted his brand in 1968 with ties and menswear, and over the years his vision expanded to encompass women's ready-to-wear, shoes, accessories, and children's clothes, just to name a few. Classic and timeless are the watch words of Ralph Lauren, whether it be designs from Blue Label, Ralph Lauren Collection, or RLX by Ralph Lauren. For in-store inquiries, use sku #2558546.